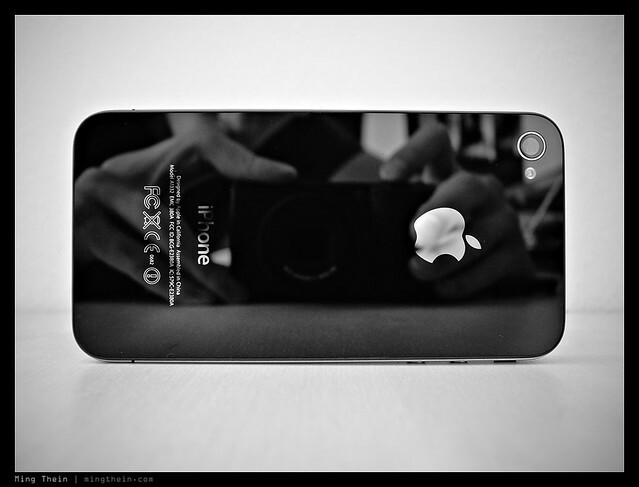 Apple iPhone 4** – The first phone whose image quality I actually liked. Crisp, detailed files; limited dynamic range – as expected from this kind of sensor – some kind of rudimentary spot metering. Color accuracy is horrible in anything other than bright sunshine, and way off indoors. Doesn’t seem to have the range of shutter speeds to cope with very dark or very bright conditions. Also, noisy. Needs a physical two-stage shutter button. Nevertheless, it’s produced images that went into the Getty library, so no complaints. Oh, and I can make calls and blog off it, too. Leica D-Lux 5/ D-Lux 5 Titanium** – Actually won a regular one in a competition; wasn’t impressed and sold it fairly quickly thereafter. However, extended time with the camera has made me change my mind. Not only is the image quality excellent, the pixels are surprisingly robust and stand up to a decent amount of post processing. Excellent macro mode that makes it a good food camera. Also, great stabilizer. Color output needs a lot of work though, and I see that customary Panasonic cyan tinge. Still, makes a great backup/ pocket/ M-companion camera. 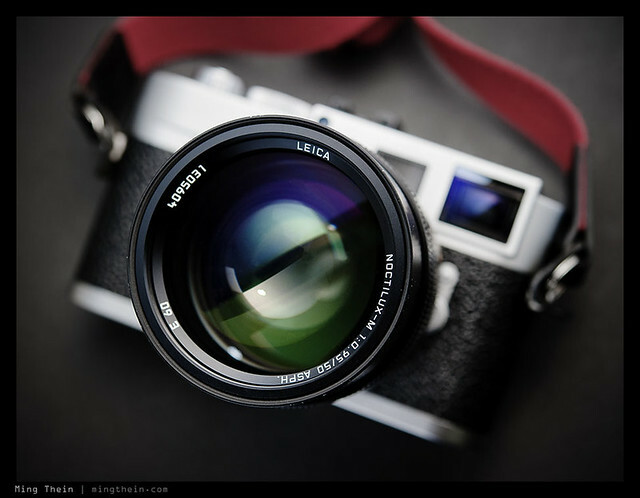 Leica M9/ M9-P** (May 2012) – The M9-P is one of those cameras that just feels right. Tactility and the ‘want to use it’ factor are high. Image quality is superb, so long as ISO is kept below 800; 1250 is still okay (about a one stop improvement on the M8) but still nowhere near the other FF DSLRs. 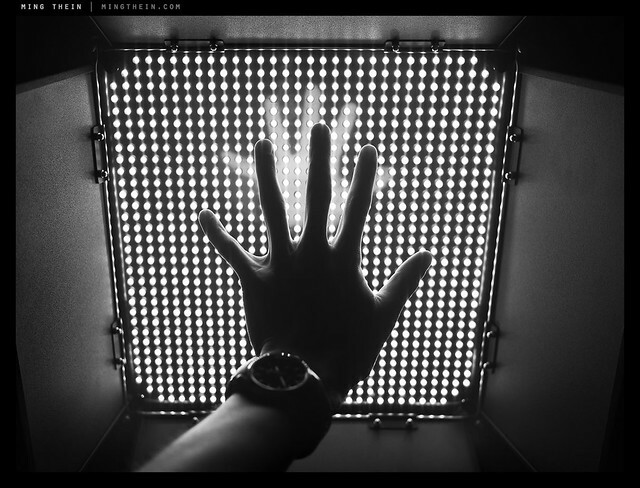 The lack of an AA filter gives images tremendous bite – just watch your rangefinder calibration. It’s very easy to shoot fast lenses and then wonder why they’re soft, when in fact it’s probably due to a misaligned rangefinder. Most of the woes with the M8 are gone (lockups etc) but you have to be very careful with what cards you use; faster ones can cause corruption and crashes. 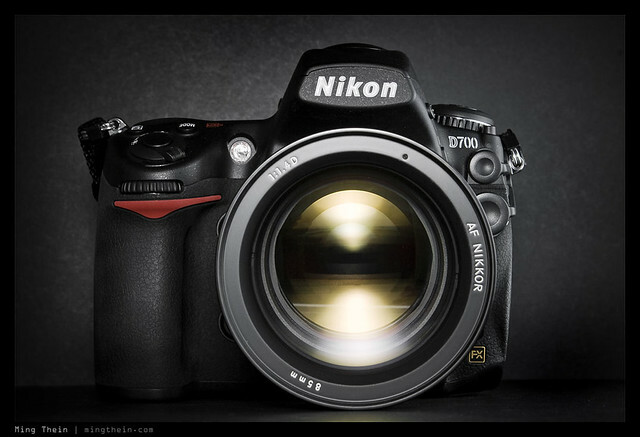 Nikon D700** (May 2012) – My workhorse since late 2009, and the end of the First Leica Period. Shares the incredibly versatile sensor and AF system from the D3, and delivers identical image quality and performance for almost all purposes. Capable of hitting 8fps with the battery grip and suitable power source, too. I can’t think of a better value camera today – there isn’t anything that delivers the same image quality, same usability, customizability and durability for the price. Along with the D3, the first camera where I felt that I was now the limitation in the imaging chain, and would have to progress substantially to change that. Mine has done over 70,000 actuations and remains in my arsenal for available light reportage work, and as a backup body to the D800E. Smart move by Nikon to keep in production (at least for a few months) and on sale; I would actually recommend this over the D800 if you don’t intend to print enormous (D700 files still look great at 40×60″) or require video. Save the difference in price and go buy some glass instead – and enjoy the wider choices, because the larger pixel pitch is very forgiving indeed. Nikon D800 (Apr 2012) – Best dynamic range of any 35mm format DSLR at the moment; incredibly accurate color, and shunts around those enormous files like it’s nothing. Video quality catches up to Canon 5DIII, and offers headphone monitoring, adjustable audio input and uncompressed full HDMI out feeds. This camera has moved the bar for 35mm DSLRs. In fact, it’s so good that most lenses can’t keep up with the sensor – every optical flaw is revealed. The lenses that work well on the camera are just as surprising as the ones that don’t (compared to the 12MP FX cameras); the 85/1.8 G for instance is better than the 85/1.4 G, and the 28-300VR becomes pretty good. Pixel-level noise performance is probably a stop behind the D700, but you’re actually going to lose a bit more than that because of the shutter speeds required to negate camera shake at these pixel densities. A non-issue if you downsize, but then why would you do that after having to suffer huge file sizes? Highly recommended to spend some time calibrating your lenses using the AF fine tune function. Watch out for AF issues with side focus points. 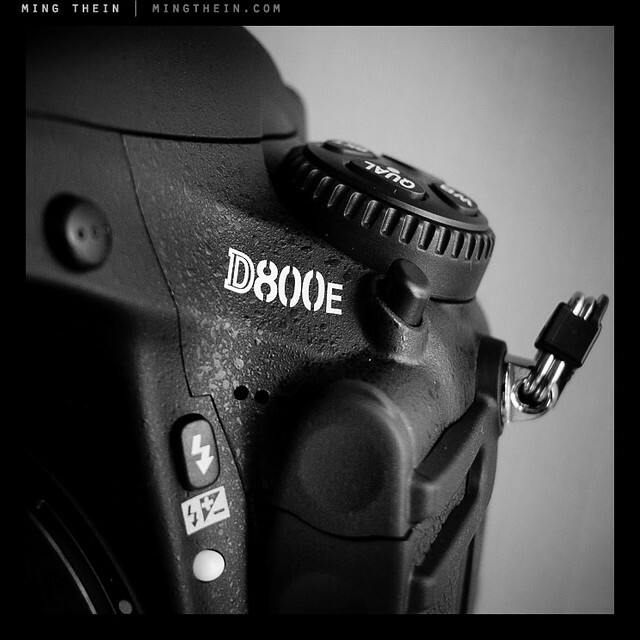 Nikon D800E** (May 2012) – The comments that apply to the D800 also apply to the D800E, if not more so; it’s even more demanding on lenses, and shows up CA more than the regular D800; it will moire, but you’re saved by the high resolution which means moire doesn’t kick in until much finer structures are resolved. This camera takes the Oscar for Best Image Quality in 35mm Format at the moment – by a long, long stretch. It makes the D3x feel like positively old, slow technology by comparison (even though the images it produces are of course still the same as the day it was released). It just makes achieving results like this so effortless and accessible, than you forget how many pixels you’re actually packing. And did I mention that the battery life is better than my D3 ever was? 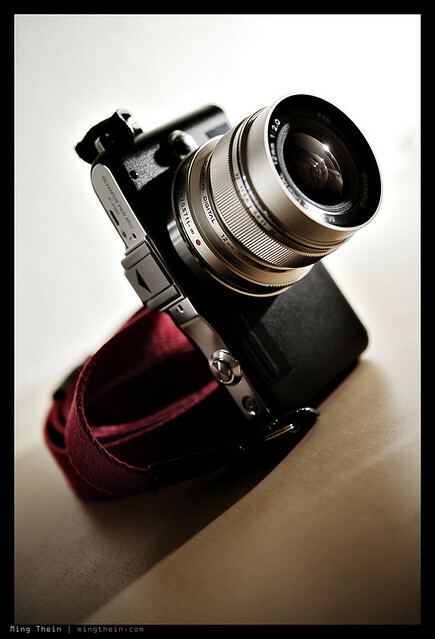 Olympus OM-D E-M5** (May 2012) – The most impressive new camera I’ve used so far in 2012. Not because of any one of its features, but because of its combination of features. It’s a game changer in its ability to combine excellent image quality – I’d say very close to the D7000 in every way, including high-ISO performance and dynamic range – to a very compact body, which also happens to be weather sealed and able to shoot at 9fps. EVF is finally good enough to use, though has limited dynamic range and of course can’t replace a good optical finder. In the tradition of Olympus cameras, it’s highly customizable, too. The only thing that lets it down is AF – yes, it’s blazingly fast, but not always accurate especially at longer distances with fast wides. And continuous AF is nearly worthless – good thing single AF is so fast. Also available with a two-part battery grip that makes quite a big difference to the handling and overall usability of the camera – but it’s still positively tiny. No built in flash, but they give you a little weather-sealed one that can also double as a wireless commander for other flashes. Olympus still hasn’t learned that putting the strap eyelet in the middle of your palm is uncomfortable. Sigh. Olympus E-PM1 Pen Mini** (May 2012) – The best value M4/3 camera out there today. Decent image quality; great color and acceptable noise at ISO 1600. Very responsive and lighting fast focusing – same system as in its more expensive siblings. Incredibly compact body means you can slap a pancake on it, chuck it in your pocket and call it a day. And not notice it’s there until you need it. Surprisingly customizable once you find the hidden custom function menu – I can’t think of any other cameras of this size (or even professional DSLRs) which let you change the color temperature of the LCD. Great battery life, too – easily a thousand shots before you need to swap out packs. 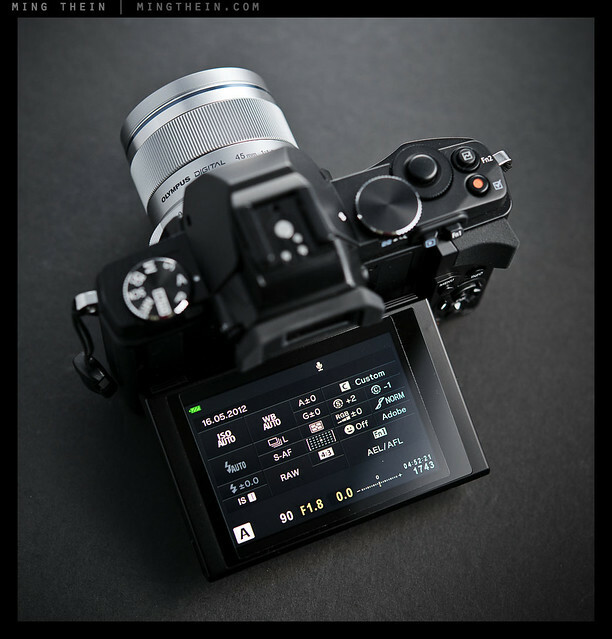 Design *looks* great but could use refinements – why on earth would you fit a 16:9 LCD to a camera whose native aspect ratio is 4:3? Most of the LCD is black and unused; the strap lugs are still idiotically positioned (this seems to be an Olympus design hallmark) and the ring on the back is fiddly. Other than that, I really do love this camera. It’s largely taken over from my Ricoh GRD-III. 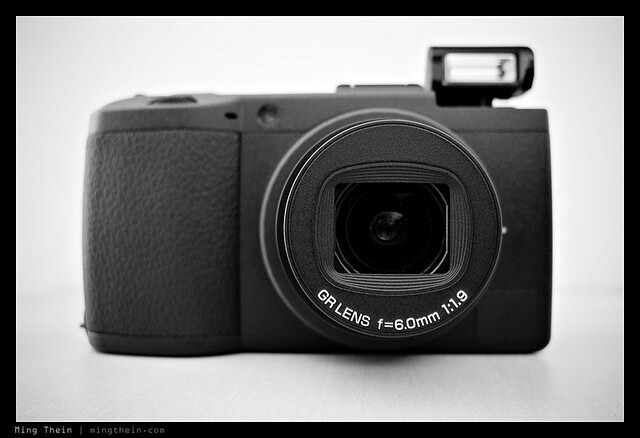 Ricoh GR-Digital III** (May 2012) – Round three. This iteration of the ultimate pocket PJ camera increased lens speed to f1.9, brought the sensor from the LX3 and G9, and more speed. Still remains hugely customizable. You could now shoot DNGs like JPEGs and not pay any usability penalty; focusing got faster; ISO 800 was now useable, and 1600 OK for emergencies. However, the lens’ notional f1.9 speed brought more improvement than expected – I rarely have to go over ISO 400 indoors, which makes me think the lens design and coatings are truly excellent. Files are surprisingly good for such a small camera, and up to A3 indistinguishable from larger sensors; plenty of latitude for processing and capable of both excellent B&W conversions and color tones. My favorite point and shoot, at this moment in time. No impulse to buy the GRD IV because I don’t see anything that camera would give me over the GRD III. If I had to take only one camera with me for a trip, this would probably be it – and was, on several occasions. Nikon AFS 28-300/3.5-5.6 VR II** (May 2012) – The FX equivalent of the 18-200VR, and the replacement for the original 28-200 Swiss Army Knife. Delivers acceptable quality between 35 and 200mm on the 12MP FX bodies; 300mm is soft even at f8, and 28mm is both haloed and soft until f5.6 – it almost seems that there’s a slight focusing issue only at 28mm. Strangely, delivers sharp results everywhere in the range on the 16MP DX bodies; it’s actually very, very good on the D800, and excellent by f8. Who would have guessed? If you travel, and want to go light but maintain resolution, buy this and a D800. Note that it has a very slow T stop thanks to the 20+ elements inside it, so don’t expect it to be a low light lens. VR is quite effective but you’ve got to give it a second or two to ‘lock down’ before shooting, and turn it off above about 1/500s or it will just cause a double image. It’s not on Nikon’s recommended list of lenses for the D800, but they bundle them as a kit in Japan – I can see why. Notice I haven’t talked about D800E: that’s because on this camera, somehow the same lens performs like it did on the D700 – hazy wide open, and not pretty at all at 28mm. However, stopping down by one stop improves things dramatically, and we’re nearly back to the same level of resolution it produces on the D800. Odd. Olympus ZD 12-50/3.5-6.3 EZ** (July 2012) – A multitalented Swiss army knife of a kit lens that feels a lot more complicated than it needs to be – motor zoom, 1:3 ‘macro’ mode locked at 43mm, weather sealing, fly by wire focusing…sadly, the optics aren’t really up to par for the OM-D it’s bundled with. It will do fine if there’s enough light, but you’re going to need a lot of light to make the f6.3 end work well. The plus side is that it focuses very quickly indeed. Olympus ZD 14-42/3.5-5.6 IIR** (June 2012) – The standard kit lens for the Pen cameras – it’s actually pretty good, with decent sharpness over the entire field even wide open. I much prefer this to the 12-50. It has very…er…lightweight construction, which means plastic mounts, thin plastic sections on the barrel, and generally you want to be careful because I don’t think it’ll take that much abuse. Good optics though, even if (as rumored) none of them are actually glass. Focuses fast. Panasonic Lumix G 100-300/4-5.6** (June 2012) – 200-600mm equivalent zoom for M4/3, topping out at a very useable f5.6 at the long end – what’s not to like? Sharpness is very good to excellent everywhere in the range, with the 300mm end being (predictably) the weakest. Optical stabilizer works well. Focusing is reasonably fast, but not as fast as the Olympus MSC lenses. (Actually, it feels about the same speed as the Nikon 70-300VR). Best used with an EVF camera for stability; you can’t really mount it on a tripod because of the lack of a collar and resulting imbalance (which is a shame). 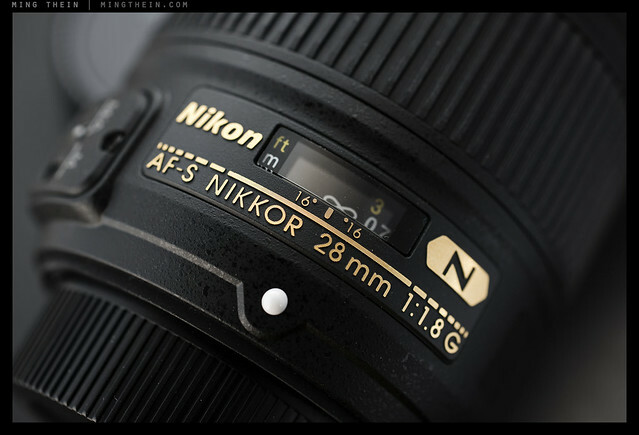 Nikon AFS 28/1.8 G (June 2012)** – A very light, relatively small lens. Focuses fast. Weather sealed, but doesn’t have any metal in it apart from the mount and some screws. It’s sharp in the center at all apertures on the D800E, but isn’t flat field; you’ll have to take care for edge subjects – it can be sharp if you get the focus plane right. Doesn’t have the 3D microcontrast of the Zeiss 28/2 Distagon, but surprisingly offers better transmission f-stop for f-stop. Neutral bokeh and color. Now if only they’d make an f1.4 version. Nikon AI 45/2.8 P** (May 2012) – Currently on my second copy. I had one of the much rarer black versions with my FM3A back in 2004; stupidly, I sold it. I’m rediscovering the joys of the simple Tessar optical formula with the D800 – the center zone is always bitingly sharp, and progressive ‘rings’ of sharpness open up as you stop down; by 5.6 it’s great everywhere across the frame. I suspect this is actually field curvature rather than softness, because you can focus on an edge subject, recompose and the edge subject will be perfectly sharp. I have a feeling I’ll find this to be one of those lenses with personality, like the similarly field-curvy Zeiss 28/2 Distagon. Color transmission is neutral, there’s a tiny hint of longitudinal CA, and bokeh is very nice indeed. Unfortunately it won’t make sunstars, though. Oddly the edge focusing points seem to work inconsistently for focus confirmation on this lens; the center point works much better and focus holds if you do the center-focus-and-recompose thing. Now if only there was an AF f2 version! Pentax was on to something with its Limited series of pancake lenses. Nikon AFS 60/2.8 G Micro** (May 2012) – This lens is one of my two studio workhorses, the other being the 85/2.8 PCE. This one gives me the convenience of AF, 1:1 and higher potential magnification with extension tubes. I switched to this lens from the 105/2.8 VR due to the huge amount of lateral chromatic aberration (bokeh fringing) present in the latter; not great for product shots as it required some often very tricky retouching to remove the color casts without affecting the color of the underlying subject. I feel it’s also a touch sharper, too. The 40/2.8 and 85/3.5 VR macro lenses do not make any sense to me; the latter is not much cheaper, and the working distance of the former is terrible. Bokeh-wise, it’s neutral to good; color wise, it’s neutral; all in all, it’s a very transparent lens that does its job and avoids imprinting its personality onto the picture, which is great. Note that it doesn’t change length with magnification, but it does shorten focal length a little, so working distance at maximum magnification isn’t more than about 5cm. Not suitable for photographing biting insects. Nikon AFS 85/1.8 G** (June 2012) – An impressively sharp optic on every body I’ve tested it on, including the D800 and D800E; no CA, edge to edge perfection even at f1.8. Sharp and contrasty all over, probably thanks to the small number of internal elements. I have no idea how they do it – the optical design is incredibly simple, and has no aspherical elements, no ED glass, no IF/ RF groups and no fancy coatings. The T stop is about half a stop down on the 85/1.4 G for the same aperture, though – must be the effect of the Nano Crystal Coating on the 85/1.4 G’s elements. I think this may be the best general purpose/ fast 85mm out there at the moment, and I don’t say that lightly. Beats the 85/1.4G and Zeiss ZF.2 85/1.4 handily for sharpness. Highly recommended if you don’t already have the 85/1.4 G, and recommended for D800 users even if you do. Nikon PCE 85/2.8 Micro** (May 2012) – One of Nikon’s sharpest lenses. Full movements, and a macro to boot! Nothing to complain about optically, at any aperture. However, the tilt and shift axes should be parallel; the way they are installed from the factory not only does not permit easy rotation like the old version, but there’s also a PCB and ribbon cable that has to be changed at the cost of US$300 or so – for something that shouldn’t have been design that way in the first place. My other issue is that the focusing ring on all of the samples I’ve tried is extremely stiff; no amount of working it in or lubrication helps that. I dismantled part of my lens to find that there are a few friction rings between the top keeper that stops the focus ring from slipping off, and the ring itself; the problem is when the focusing ring is moved, it naturally exerts force on the friction ring and keeper because of the focusing cams. It’s actually so stiff that it requires less force to rotate the lens about its movements axis, which means you’ve got to be careful when using it. It isn’t a fluid or easy lens to use, but produces excellent results. PCE version means an electromagnetic diaphragm that stops down with a button instead of a lever; unfortunately it also means you can’t use it on a non-electronic body or bellows, other than wide open. Olympus ZD 12/2** (May 2012) – The best of the wide angles for M4/3 at the moment; it’s fast, sharp, and doesn’t have any obvious optical deficiencies other than slightly nervous bokeh (but chances are you’re not going to see bokeh with this spec anyway). It does distort a bit, so it probably isn’t that suitable for architectural photography. I don’t think the T stop is quite f2 – feels like it needs a higher shutter speed than you’d expect for a given lighting condition. The lens does have this interesting focusing ring which can be either fly by wire or mechanically linked manual; the latter has distance and depth of field scales and everything! However, it may not be fully mechanically coupled as it seems there are only five or six distinct focus ‘zones’ you can select, which means hyper focal use isn’t quite as easy as you’d think. I tried it a few times and was disappointed by the inexplicably out of focus results I got at times until I discovered the previous fact. Use it in autofocus mode and be happy (it’s one of the newer, fast MSC designs anyway). Olympus ZD 45/1.8** (May 2012) – Probably my favorite lens for M4/3 at the moment. Optically, it’s superb. Sharp, moderate contrast, excellent color, neutral, smooth bokeh, and a great microcontrast structure the helps to generate that 3D look and feel to images. Sharp already wide open, but improves to peak at around f2.8-4; don’t go past f8 on M4/3 bodies because you will run into obvious diffraction effects. The price is spectacularly good for what you’re getting, but the compromise is a plastic, somewhat flimsy-feeling outer shell, no lens hood, and an easily-lost blanking ring at one end to cover the hood bayonet. Panasonic Lumix 20/1.7 G** (May 2012) – One of the must-haves for M4/3 because of its small size and reasonably high optical quality. It isn’t the sharpest or fastest-focusing lens out there (in fact, it’s one of the original lenses that was launched with the system) but it does seem to hold up well on the newer 16MP cameras. My only complaint is that it’s a bit too contrasty, and the micro contrast structure lacks the same refinement of say the Olympus 45/1.8. Not expensive and worth having around; makes a good two-lens kit to pair with a zoom for travel. Panasonic Leica Lumix 45/2.8 Macro-Elmarit OIS** (May 2012) – The only real macro choice for M4/3 at the time of writing this; good thing it’s an excellent lens. Reaches 1:1 on the M4/3 sensor size, which means close to 2:1 equivalent magnification on full frame. I’ve not done any serious shooting with this yet, but my early watch tests and casual shots suggest that it’s one of those rare ‘transparent’ lenses that just does a great job at faithfully reproducing the subject. A cautious favorite, so far. The OIS system also seems more effective than the in-body stabilization on the OM-D – and no, don’t use them together because there’s some weird interference going on. 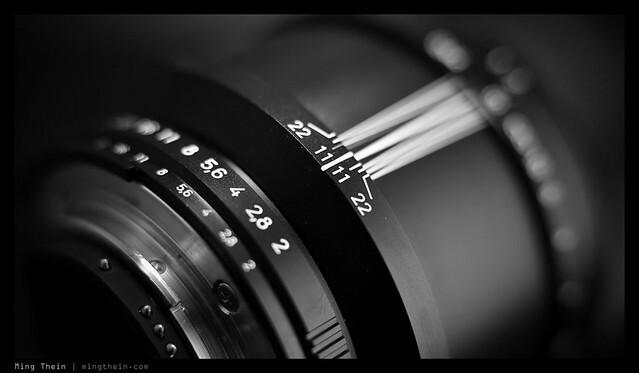 Zeiss ZF 21/2.8 Distagon** (Jun 2012) – Possibly the ultimate wide angle lens, period. Sharpness is excellent across the entire frame even wide open on the D800E; there’s noticeable vignetting, but it goes away completely by f5.6. More importantly, the lens has a rich, 3D saturation and microcontrast structure that makes fine textures (e.g. landscapes) pop. This is how all lenses should be constructed – focus throw and weighting is utterly perfect, with just enough resistance, plenty of smoothness and no backlash. The only thing I don’t like is the enormous filter size – the front element is much, much smaller than the filter ring; why on earth did they have to use 82mm? It makes the lens very difficult to pack because it’s almost conical. Zeiss ZF 28/2 Distagon** (May 2012) – This is one of my favorite lenses of all time; has the same optical formula as the legendary C/Y ‘Hollywood’ so beloved of filmmakers (hence the nickname). I know I keep going on about Zeiss microcontrast; this has it in spades. I’m convinced it’s all in the coatings. You know the transmission of a lens has to be good when you can’t see the first few elements – that’s a sure sign that there isn’t any light being reflected back out of the lens (or worse still, around inside the lens, causing internal flare). Color transmission is on the warm side, but very rich and saturated throughout the spectrum. It’s worth noting that this is not the best lens for reproduction or architectural work; not only does it distort, it also has highly pronounced field curvature (concave with edges closer towards the camera). It is this field curvature that both gives the lens its unique character – exaggerated subject separation from the background, as the background is effectively more out of focus than if the lens were flat-field – as well as its horrible test charts. Zeiss ZF 100/2 Makro-Planar** (July 2012) – Reputed to be one of Zeiss’s highest resolving lenses for F mount; I can believe it. Switched to this from the Nikon 105/2.8 VR in the hopes of lower longitudinal chromatic aberration; sadly, it was not to be. Interestingly, there’s no lateral CA, though. 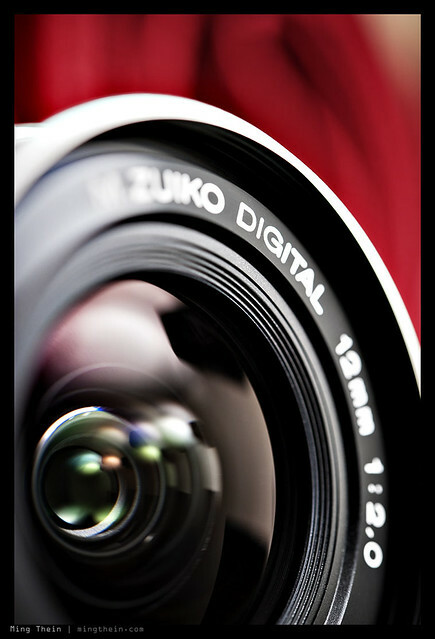 However, the lens doesn’t shorten its focal length when focusing close, which means framing stays the same on focusing. It’s also constant f2 throughout the magnification range, which makes for some spectacular separation. Reaches 1:2 on its own; 1:1 would have been nice. Only downside is that once again like the 50/2 Makro Planar, the further distances on the focusing ring are very close together, which makes precise focusing a little tough. I acquired a second one of these recently to give me something with longer working distance for the D800E – and it’s utterly superb. The lens is capable of outresolving the sensor everywhere in the frame wide open. I may have an exceptional copy, though I doubt it because my previous one was similarly spectacular. Highly recommended. Zeiss ZM 28/2.8 Biogon** (May 2012) – Although sharp, the lens somehow doesn’t have the optical magic of its 21mm brother; there’s some slight internal flare that reduces crispness wide open. Great by f4 and excellent by f5.6, however. I bought this lens to use as my go-to 28mm on the M9-P, thinking it would replicate the 21 Biogon’s signature, but it has hardly seen any use since the arrival of the 35 ASPH FLE. Zeiss ZM 50/2 Planar** (May 2012) – Optically, a much better lens than the 50/1.5 Sonnar; it’s bitingly sharp wide open out to the borders; the edges and extreme corners come into line at f2.8. Neutral bokeh and pleasing (slightly warm) color rendition; has that Zeiss ‘pop’ in the microcontrast. No complaints overall – just one of those transparent lenses that doesn’t get in the way of your picture-taking, or impose a signature of its own. Apple Macbook Air 11” Late 2010** (May 2012) – What I use when I’m on the road. I have the 1.4 C2D, 2GB, 128GB SSD configuration. It’s more than fast enough for everything except the most heavy duty video or image editing tasks; in fact, it’s the first computer which doesn’t make me feel like I’m carrying a computer. Also, it looks cool. Much preferred to an iPad because I can actually do work on it. However, I don’t do editing on this machine for one big reason: the screen. It’s both too small and too inaccurate (even after calibration) to do critical color work. Battery life is excellent – I can actually hit 5h with moderate brightness and wifi on; more if I turn it off and dim the monitor. Apple Macbook Pro 15″ Mid 2010** (May 2010) – My primary editing machine. I have the 2.66 i7, 8GB/ 512MB and 500GB/4GB SSD hybrid HDD configuration. I use it with CS5.5 and Snow Leopard; upgrading to Lion would be too painful to patch all of the little add-ons etc that I use. Handles 12MP 16bit raw files just fine; in fact, I can open about 20 in Photoshop before noticing any slow down. Curiously though, I can’t open seven 36MP files at the same speed; there’s definitely some nonlinear effects going on here. Four is about the max before things start to hit traffic. Could well be the way Photoshop is allocating resources, however. Battery life is okay – 3-4 hours for web browsing etc, probably closer to 2 if running processor heavy tasks like Photoshop (which also uses the discrete GPU). Fotodiox AV1000PRO LED panels** (Jul 2012) – Enormous 1.5-foot square LED panels with a high CRI and reasonable amount of brightness; runs off wall power with an optional battery pack. Great for food work as the temperature doesn’t affect what you’re shooting. Gitzo GT1542 Carbon 6x Traveller** (Jul 2012) – My new travel tripod – it’s so unbelievably light, yet sturdy thanks to the leg locking mechanism. Unlike Gitzos of old, you no longer have to undo the locks one by one – you can undo all of them, extend/ retract, then tighten. Much faster. I think it’ll easily hold more than its rated weight capacity. Legs fold up to reduce overall size. The only downside I can see is that there are only two leg positions – flat, and 30deg. An intermediate position would have been nice. Makes an excellent pairing with the GH1780QR ball head. Gitzo GT5562LTS Carbon 6x** Systematic Geant (Jul 2012) – My new studio tripod – even though it has six sections, it feels completely rigid because the largest section is about 2″ in diameter. I can even use it as a makeshift stool without too much trouble (sans head and column, of course). Easily the most sturdy, yet compact and portable, support system I’ve ever used. Weighs about 3kg or thereabouts. I imagine it’d be pretty useful for birders, too. 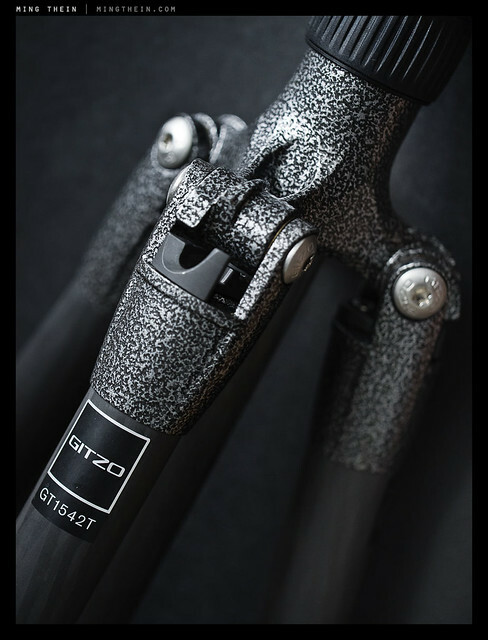 Manfrotto 444 Carbon One tripod** (May 2012) – one of Manfrotto’s first carbon fiber numbers; it’s strong, but not particularly light. Extends to just below head height with the column down. Capable of holding a 400/2.8 without breaking a sweat. I pair it with the 468 RC0 Hydrostat head. One complaint – the column doesn’t lock down very well; the friction clamp doesn’t have enough friction to stop the column from rotating if you apply torque to the camera, but have locked down the head. Not a big issue for most uses, but can get annoying at times. Manfrotto 468 MG RC0 Hydrostat ball head** (May 2012) – I firmly believe the Hydrostats are probably the best ballheads currently made. They use a vacuum system to lock down the ball, which is Teflon coated aluminum (I think; it could also be ceramic). The body of the head itself is cast magnesium. This is the only head I’ve used which doesn’t droop when you lock it down – it’s binary; either the head is locked or it isn’t. This is especially important for high magnification macro work as predictable fine positioning is critical. Has a separate pan lock and tension adjustment for the main ball. Not at all lightweight (about a kilo, I think) – but is rated to 16kg; I know it can hold far more than that as I’ve used it and the tripod as a stool on occasion (with another rail on the head to make it less pointy, of course). Manfrotto 1052 BAC light stand** (May 2012) – I use these to hold my flashes and LED light panels. Lightweight and made of aluminum, but able to reach up to 7ft whilst carrying moderate (probably not over 2kg or a couple of speedlights) loads. Tubes fit together very precisely, and have some sort of gasket that prevents the loaded section from falling uncontrolled into the base, but instead uses the air trapped inside the bottom tube as a pneumatic cushion. Neat. Also folds flat to stack together multiple stands with ease. Manfrotto 5001B compact light stand** (Jun 2012) – They’re light and compact (about 45cm long when folded) but not capable of supporting much more than a flash – good for travel. The leg extension mechanism isn’t as smooth as the 1052s because they have to fold out through 90deg rather than just extending downwards. Still, to the best of my knowledge, there aren’t any alternatives. Manfrotto Super Clamp** (Jun 2012) – Does what its says on the box – it’s a standard lighting mount with a clamp on one end, and a ballhead with cold shoe on the other. Useful for holding flashes in position in awkward places, or for holding things on stands which don’t have standard mounts. Michael Tapes Design Whibal cards** (Jun 2012) – A little piece of gray plastic that happens to be perfectly gray, and invaluable for ensuring perfect color (or as near as you can get to it given current sensor technology). Use either with your lights to set a manual WB, or add a frame with the card in it to eyedropper and sync WB off afterwards in post. Highly recommended. Nikon DK17M** (May 2012) – 1.2x magnifier for threaded Nikon professional camera eyepieces; will fit the D700, D800, D2 series, D3 series and D4 series cameras. Makes precise framing and focusing a lot easier, but note that it reduces eyepoint, so if you wear glasses, you may no longer be able to see the corners of the frame easily anymore. Works well with the DK-3 eyecup (which is rare, out of production, and has been superseded by the less snug fitting DK19). Nikon ME-1** (May 2012) – Stereo shotgun microphone for video-capable Nikon DSLRs. Mounts to the hotshoe and is powered via the microphone jack. Sound quality is definitely better than the built in mic, but nothing to write home about. There’s a wind cut switch, rubber isolation mount for the mic portion, and a small foam dead cat. If sound is absolutely critical you’re probably better off using collar mics or a dedicated audio recorder. Nikon SB700** (May 2012) – Best value flash for Nikon users at the moment; serves as a good primary, and works well as a CLS commander. Physical switches for modes make it faster to use than digging through the softkeys and menus of the SB900. Has one annoying trait; the lock button on the power/ mode switch is difficult to press and rotate simultaneously – similar design to the SB900, but somehow it doesn’t have this problem. I’d rather have two of these than one SB910; functionality is almost the same and the price isn’t that different, either. Note that TTL only (not TTL BL) mode is gone from this flash – I don’t know why. Has one of the most stupidly designed cases ever – looks like a washbag – Unlike the SB900’s case, it isn’t a holster you can put on your belt; when you open it up, the contents all fall out because it isn’t rigid and the opening is huge. Good for storage but nothing else. Nikon SB900** (May 2012) – I’m slowly acquiring a small collection of these as people dump them in favor of the SB910s; I’ve never had overheating problems despite fast, hard use in the studio. Recycle time is a lot faster than the SB800 even with the extra battery pack. Unfortunately it’s physically larger than the SB800, which makes it a bit challenging to pack; you get a bit more power and a much larger zoom head range, which means you can do interesting things like spotlight effects with the head set at 200mm (and your lens presumably much wider). Allows you to control the beam pattern (not that it seems to make a lot of difference) and communicates color temperature to the camera via the hotshoe pins. Also uses some sort of optical filter to recognize what color gel or accessory you have clipped over the head to alter output accordingly. Nikon SC31-IR** (May 2012) – Most of you probably have never heard of this little gadget, let alone seen one; it’s a little IR-only transmission panel that mounts on the hotshoe and flips down in front of the built-in flash to prevent seeing the built-in flash in the exposure if you’re using CLS commander mode. A very specific tool, but for people like me who use the built-in for exactly that, it’s a godsend and beats having to put your hand in front of the flash all the time. Sandisk Extreme Pro SDHC UHS** (May 2012) – Fast and reliable, I use these in all of my SD-based cameras except the M9; this card is on the watchlist and is apparently ‘too fast’ for the camera. Sandisk Extreme Pro CF UDMA** (May 2012) – I use these in my D700. Sanyo Eneloop AA** (May 2012) – The best rechargeable batteries ever; has the best of both worlds of lithium and NiMH – it’s rechargeable, can support high discharge rates, but at the same time doesn’t self-discharge and has no memory effect. Perfect for flashguns, especially if you don’t use them that often. I’ll get around 700-800 shots on an SB900 per fully charged set of four. Transcend Class 10 SDHC** (May 2012) – Currently using this in my M9-P, to avoid card corruption issues – it seems that the fast Sandisk cards still aren’t fully reliable. Wacom Intuos 4 M** (May 2012) – Upgraded to this in early 2010; I was seduced by the OLED shortcut display and the promise of more sensitivity levels. The former has turned out to be pretty useless because of muscle memory, and the latter is true, but it’s more about ease of control than actual additional pressure levels. I feel that the build quality on this version isn’t quite as good as the previous one – the button feel is not as positive, and the actual surface itself is very easily marked by the pen tip. To make things worse, the pen tips seem to wear faster on this surface; I used perhaps two in the four years I had the Intuos 3, but in two years with the 4, I’ve already gone through six. And no, I don’t think I’m doing any more retouching than before – but all the same, the active area of my tablet is mirror-reflective in places. In fact, you can probably figure out the layout of my Photoshop palettes by looking at the tablet surface alone. Still, highly recommended – an invaluable tool for any photographer that has to do serious retouching. Hey Ming, I love your blog, and I have two questions for you. How satisfied are you with the Macbook Air 11”, since you are probably using it a lot? I’m currently in between buying a small laptop for my everyday travel needs and every bit of help is good… The next thing, I saw that Hasselblad introduced it’s new product, what do you think about them? Thanks, regards! The screen is terrible. Gamut is woefully insufficient for processing. Power is adequate even for D800E/645Z files. Otherwise, it’s good for travelling. Mine is a generation old, and doesn’t have the longer battery life of the newer model – which I think it’s a must for long flights. Which Hasselblad – the 200MS? It’s only useful in the studio because the total capture time is long. Also I’m curious about your opinion of the Nikon 200mm f/4 AF- Micro, and how do you think it will work with the D800. Sorry for all the questions, but I just dicovered your page and I’m stick to it (it is 4 am here in Vienna). Good night, Jorge. Please, could you tell me in short words what is “flat field” and “focus plane” (you used those terms in your mini-review of the 28 f/1.8) ? Thanks, Jorge. Focus plane = the zone which is in focus parallel to the sensor plane at the focused distance. Flat field = a focus plane that doesn’t curve towards or away from the camera. It’s very well made, light, allows the lens to rotate, balances the lens very well (especially useful with a Manfrotto Tilt-head 234RC on a carbon-fibre monopod). That looks interesting, no prices though – any idea how much he charges? Total cost was 74 Euro (around NZ$130 at the time, actual cost varies depending on exchange rate, purchased in May this year). Cost includes postage, Paypal charges, etc. Took about a month by registered mail to arrive in New Zealand. Cost very reasonable in comparison to eg. Canon. Quality excellent. I leave it on the lens all the time as it takes little extra space. where is possible to buy Fotovidox LED panels? i could not find right source. No Leica lenses? 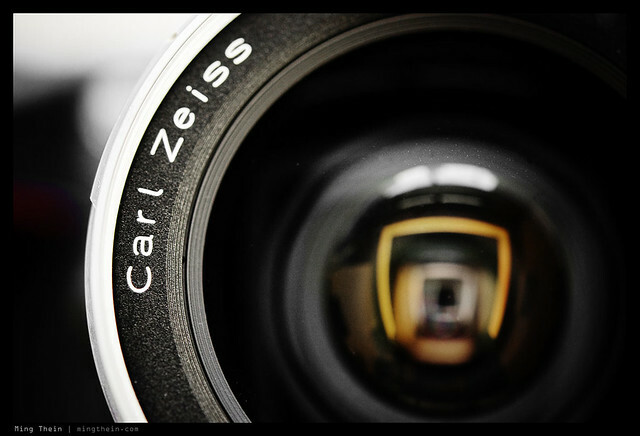 You are exclusively with Zeiss for the M9? Those are fine lenses, for sure, just being curious as the M9 is shown with the Noctilux 🙂 Cheers, T.
For now, yes – I’m really not happy with any of the current 28mm options, including the Zeiss; they’re all ‘okay’ but not fantastic. And if I’m only going to get ‘okay’, then I might as well not waste too much money on it. I’d love a 50/1.4 ASPH, but I haven’t been able to find a good sample, and I don’t use the M9-P enough to justify continuing the hunt for one – commercial work requires finder precision and resolution, which the D800E serves; between darkness and rain (bad weather lately, haha) the OM-D serves everything else. As for the Noctilux…it’s on call when I need it, but doesn’t live with me. Makes sense, especially from a professional’s point of view. Just got my OM-D in the mail this morning (upgrading from the GF1) to complement the M9, not the least because of your review of the OM-D. For the M9 I only have the 50/1.4 ASPH and since recently the 28/2.0 ASPH. May I ask what’s your gripe with the 28/2.0? Too slow? Me being an amateur, I’m perfectly happy with it. Cheers, T.
PS: Thanks a lot for running this site; one of my first visits every morning! Great article Ming I love coming to the site every day to check what you have to say. I saw you listed the Panasonic Lumix 20mm f1.7 but did not note whether you had any problems with it on the Oly OMD. I ask because I’ve had the lens lockup a couple of times (others report frequent lockups so I’ve been fortunate) on the new camera and it never did this on any of my other Oly cameras. By the way, the Oly OMD is an amazing camera. It’s not the Leica M( but damn it’s very close at times, depending on the lens used. Thanks Ed. No problems with that lens in particular, though my OM-D can be induced to lockup if I use the FN1 button to toggle point zoom, then the FN2 button to protect an image immediately after coming out of zoom (with the slider still present) – no idea why. I’m not having the sleep problem everybody else seems to report, though. Somewhere inside your blog you were praising Nikon 24/1.4, which now I didn’t see on your pretty extensive list, but you have chosen two Zeiss lens 21/2.8 and 28/2. Would you like to comment? Just very curious! Yes: it’s an excellent lens on the D700, but I just couldn’t get mine to focus reliably on the D800E, even after the focus fix. It could be a sample variation thing, but it’s not a risk I’m going to take. I replaced it with the new 28/1.8 G (review here), and I’ve always had the ZF 28/2. I was ready to say: I’m North of North-West. I’m next to the Canadian Rockies. BTW, do you have a deadline for the DVD? Nope, I’m still working on it – it’ll be available when it’s ready. Probably about a month or so, though. 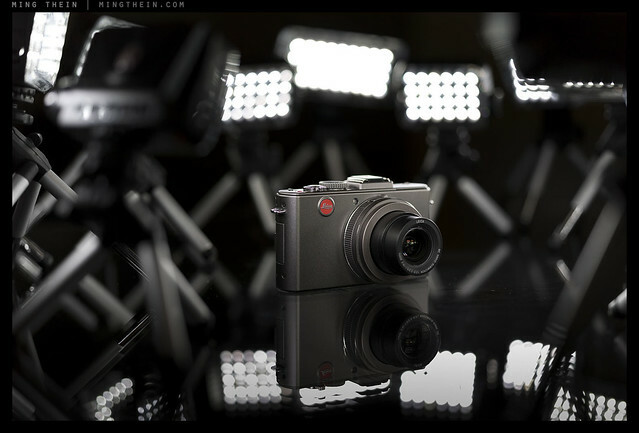 Any reason you chose the Leica D-Lux 5 over the Panasonic LX5? I have a Panasonic LX3 and really hate how it performs for color work. The only thing I really use it for now is taking photos at concerts, whch it does surprisingly well! Really interested to see what Panasonic/Leica do for the next revision of these cameras. Nope, I was given one to use, that’s it. I have it, so I use it – otherwise I’d use either an Olympus Pen Mini or Ricoh GRD-III for my compact. I enjoy your commentary on your craft and your beautiful images. Your equipment list may seen too large to some, but on has to recognize that a craftsman must have the proper tool for the job. I have been a photo hobbyist for fifty years, and every photographer has some gear head in him. Ming, since you’ve shot with both, I’d like to know your thoughts about the Noctilux and the 50mm APO. If you had to choose between these lens, which one would you choose and why? Neither – I don’t have the budget, so I’d go with the 50/1.4 ASPH. It loses out very little to either lens. The Noct doesn’t focus close enough and is unwieldy; the 50 APO is a bit too slow for some situations, especially with the M9’s sensor. Sometimes I wonder if you’re a photographer first and a watch enthusiast second or vice versa. I guess this post answered my question. That’s one hell of a gear you got there, and I salute you for being able to maximize usage on each and every one of them. Heck even your photos of them camera gear trumps most camera catalogues I’ve seen. I’m not even sure myself sometimes. I was a watch enthusiast before I was a photographer, but that doesn’t pay the bills. The best I can do is try to be both. I don’t buy gear I don’t need, which is why you’re not going to see reviews of everything and anything – I just don’t have the time or money to do that. On a serious note, it does show one has to really understand what tool is required to get the job done…otherwise maybe best to simply stick to what you have and upgrade when you realize something is missing…. Curious about your comments on the 28-300 on the D800 as you cite precisely my preferred use case as a travel wakaround lens. Many like to bash it as a jack of all trades/master of none lens (as you said), so I’ve shied away, but your thoughts give me hope and I certainly value your views. 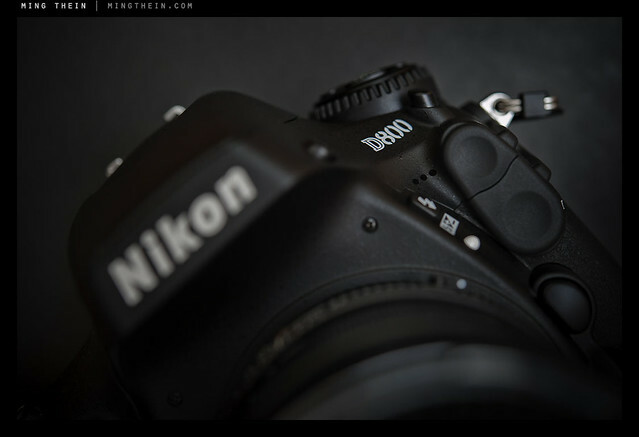 In your review it was paired with a D700… just curious… what did you perceive on the D800 that stepped it up a notch? It seems the acuity that was missing with the lens on the D700 is now back, however it doesn’t seem to work well on the D800E – I have no idea why. I’m back to the 28/85 1.8G travel kit, or the OM-D.
You’ve got to be among the most prolific bloggers around, producing interesting and quality posts daily. I cannot imagine how you do it and run a solo business – when do you sleep? I particularly enjoy your essays. Thanks for giving me something enjoyable to read daily! Sleep, what’s that again? 😛 Thanks for your compliments. Now, THAT’s a “current equipment” post. I wonder what’s with the cyan cast of panasonic images. I’ve never grown to love my GH2 images exactly because of that – I really have to work the color hard in order to get something I like. +1 on the Oly 45mm as well. The images coming out of it are truly gorgeous.